Our consumer driven and media-saturated society is overloading students with information and slowly reshaping how they think about life. Despite the best efforts of teachers and youth leaders, many students are leaving the church in search of something substantive. We relate deep biblical truths to students through relevant examples and personal testimonies of how God is transforming lives by His Spirit. Author: Is our understanding of God shaped by Scripture or Society? Human: What does it mean to be made in the image of God? Culture: What role does culture play in our worldview? 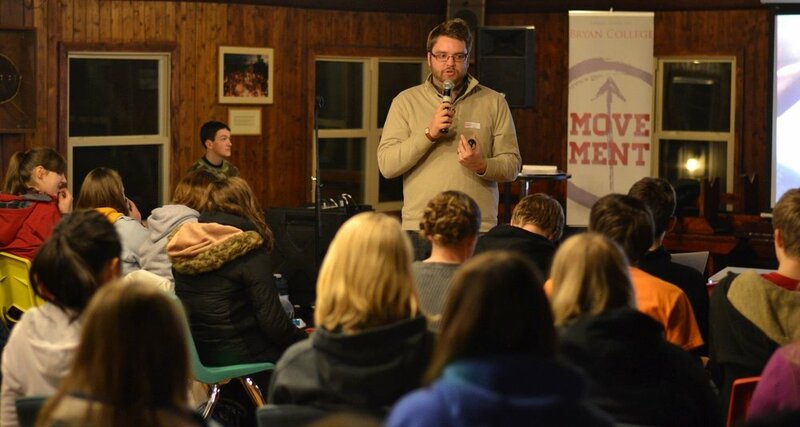 Movement: How can followers of Jesus make a difference in today's culture? Our cultural moment is defined by Neo-Gnosticism that is redefining our understanding of God, Love, Power, & Truth. As a result, we have become heartbroken by many young believers living lives that look no different than the world around us. By exploring topics like relativism, racism, sexuality, and technology from Biblical and Cultural points of view, we see that a life submitted to Christ can winsomely demonstrate truth in a world that demands pluralistic tolerance. Hidden God: Where is God in the midst of our world today? Hidden Strength: What is the role of power & influence in the Church? Hidden Love: Our culture is OBSESSED with "Love", but how do we practice love biblically? Hidden Kingdom: Like Daniel in Babylon, we are called to be a creative minority in culture.